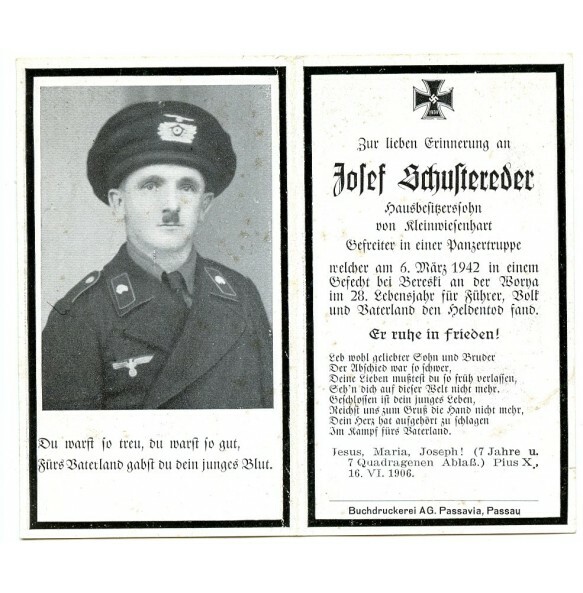 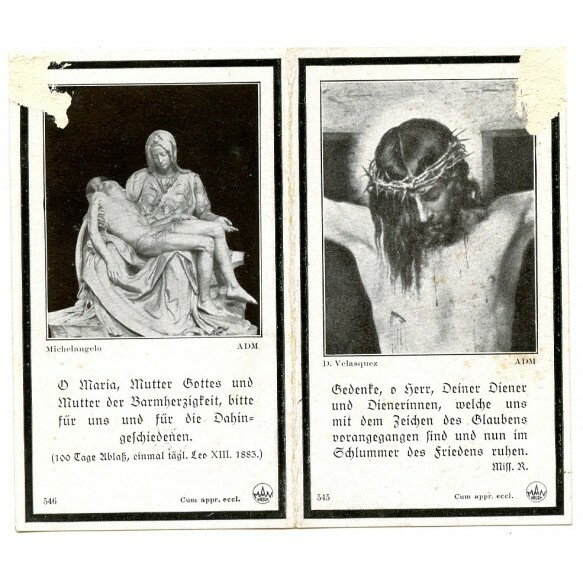 Death card to panzer crew member Josef Schustereder, KIA in Beresti next to the Worna (Wolga?) 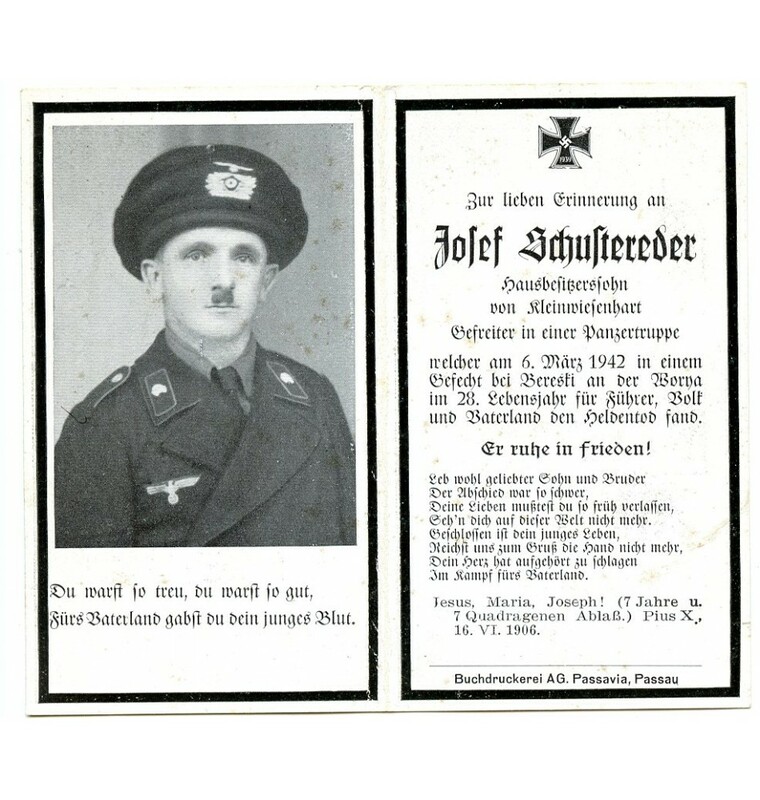 1942. Small damage on the reverse from glue remains.